Lower price and a larger size are the unique selling points of this car. With a trunk capacity of 510 liters and a decent list of features, it is a strong proposition for shoppers who value space and features. 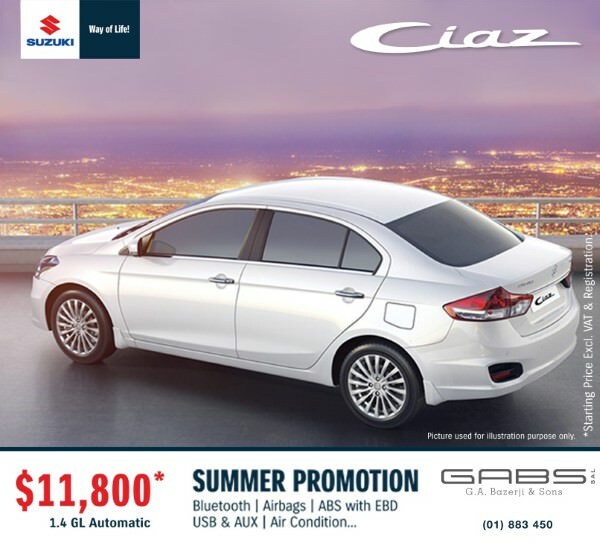 The Ciaz is a family-friendly car that looks great for the price it retails for. Now with a $500 discount. No, the car illustrated is the full options model which is not imported to Lebanon anymore. The car available does not feature alloy wheels.